[PDF] The Theta System: Argument Structure at the Interface | Free eBooks Download - EBOOKEE! 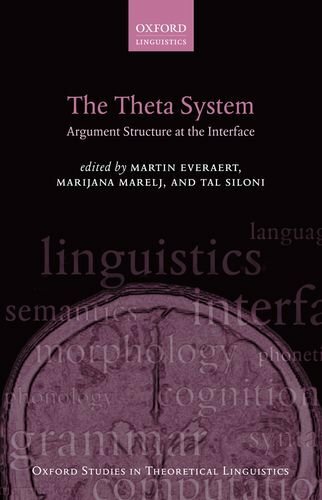 Description: Before she died in 2007, Tanya Reinhart had gone a long way towards developing the Theta System, a theory in which formal features defining the thematic relations of verbs are encoded in the lexicon, enabling an interface between the lexical component and the computational system/syntax, directly, and the Inference system, indirectly. This book considers the recent results and evaluations of Tanya Reinhart's research in both theoretical and experimental domains. After a comprehensive presentation of the framework by the editors, distinguished linguists from all over the world examine the underpinning of the Theta System, compare the framework to alternative approaches, and consider its implications for the architecture of grammar. In addition, they consider and exemplify the applications of the system and offer improvements and extensions. The book is an important contribution to linguistic research. It engages in the key dialogue between competing lexicalist and syntactic approaches to lexico-semantic problems and does so in the context of an impressive array of new empirical data ranging from Germanic, Romance, and Slavic to Ugro-Finnish, and Semitic languages. No comments for "[PDF] The Theta System: Argument Structure at the Interface".